A safe, secure and legally binding electronic signature solution. DocuSign can be used in Australia to legally accept digital signatures. Read more in the Legality and Security Overview document. Simply nominate the document you want signed, send it to the recipient by email and they sign immediately on screen. No printing, no scanning and no waiting. Nominate where on the document you'd like the signature or information. Save popular documents as templates to make it quicker next time. Enter the email address of the person/people you need to sign the document. Recipients receive an email with a link, taking them to the document online. Recepient signs electronically using their touch screen, mouse or accepts a digital version of their signature. The sender is notified and documents are stored securely online, so no filing/printing/shredding is ever required! 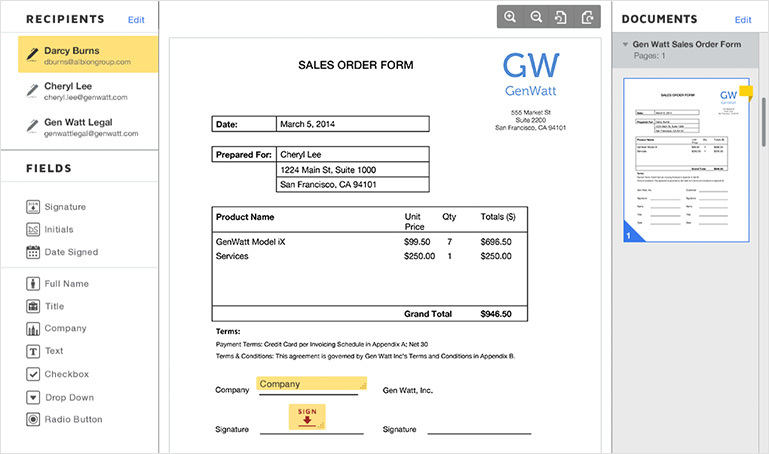 Documents can have workflow which automatically sends documents to certain people in a certain order. 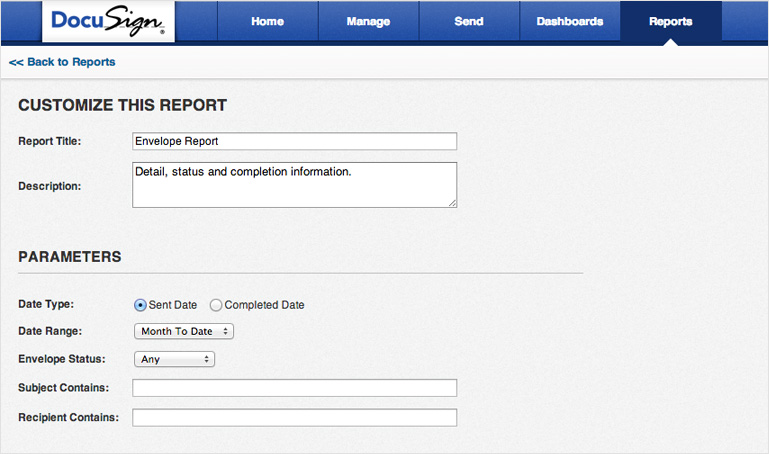 Document status can be checked in real time as well as convenient reports which can be scheduled. Requires you to send the document to the recipient (sometimes via post). The recipient then needs to print the document, sign it and send it back. Documents normally need to be printed, signed, posted, stored or shredded. Each of these processes costs time and money that could otherwise have been spent selling or service other customers. Recipients often forgot to sign certain pages, or forgot to fill out certain details on the document, requiring a repeat of processes.